Patrolman Wells, rest in peace. NEVER FORGET! 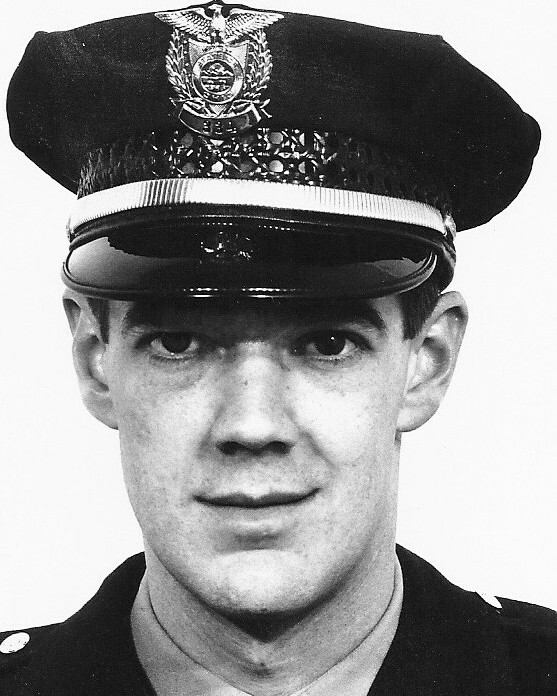 On behalf of the Westerville, Ohio Division of Police, we honor the dedicated service and ultimate sacrifice of Patrolman Ronald K. Wells of the Dayton Police Department, Ohio and the additional 67 American Peace Officers who have paid the ultimate sacrifice on this date in history. My father, Jimmy Flanary, was an officer for the Dayton police at that time. Even though I was a small child, I remember how this devastated my father. I believe he was there when it happened. For a brief time, we only knew an officer had been shot. We did not know who it was. My heart goes out to the Wells family. I have thought of this often. Please know, that your family member is remembered and honored for his service. It could have easily been my father. I worried about him being shot every time he left the house for his shift. God bless your family. I just recently found this site and would like to thank those responsible for the creation and maintenance of it. It is a comfort knowing our brother is remembered, and that this story may help in preventing another such tragedy. I always thought it ironic that when we were young, our father often cautioned us about pointing our toy guns at each other, saying someday we might do that with a real one. Which is exactly what happened, but by another officer. I will always be grateful for the month we had between the incident and his death. I spent many hours in the hospital with him and was surprised to find he forgave the man who was responsible. It helped ease the pain. We were close, and I think of him often. The story of Officer Ronald Wells has been a lesson taught to many new comers and the veteran officers already have learn. You do NOT horse play around when ever you have a weapon on your person. ACCIDENTS can and will happen. Officer Wells was and still is a hero and a teacher to many of officers when we make them read this story for the first time. We salute you Ronald Wells and thank you for you are still saving lives. Your heroism and service is honored today as we approach the 42nd anniversary of your death. Your memory lives and you continue to inspire. Thank you for your service. My cherished son Larry Lasater was a fellow police officer who was murdered in the the line of duty on April 24, 2005 while serving as a Pittsburg, CA police officer, 38 years after you were accidently shot. I would have been 10 years old living in Dayton when your loved one passed away. I am now 50 living in Florida. Gone but not forgotten is your loved one. You gave of yourself so others could be safe and secure in our community, thank you. Rest in peace. Patrolman Wells, you are remembered on this date of your death. You will always be remembered.